Grilled cheese with orange marmalade. Shrimp and sausage. Anchovies with garlic. Chocolate cake with cherry jam. Caramel and pecans, always. These are some of the combinations my mom loves to eat, and so do I. 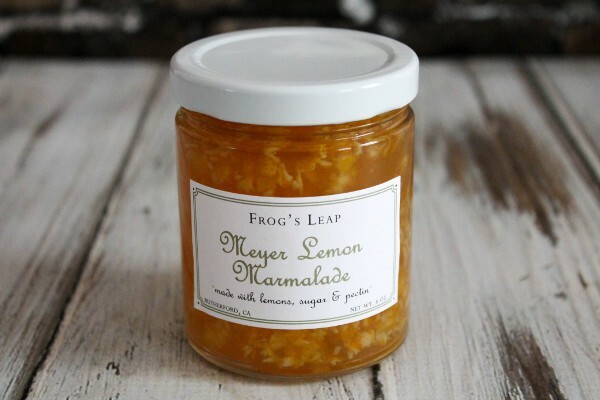 When I was in California last month, I saw this Meyer Lemon Marmalade for sale at Frog’s Leap Winery in Napa and immediately snatched it up. I originally wanted to make my mom’s signature cheddar and marmalade sandwiches, but I decided to make something sweet and brunch-appropriate instead. After all, I wanted to make something for Mother’s Day, and even though my own mom is on the other side of the planet, that doesn’t mean I can’t make something that reminds me of her. Something I know she would love. 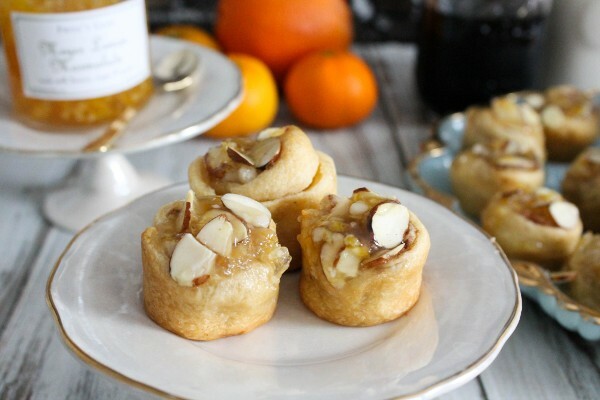 I always think of my mom when I see marmalade, so I made these soft and tender cinnamon rolls, filled with sweet almond paste and sliced almonds, topped with a bright Meyer lemon marmalade glaze. She loves almond treats and anything citrusy. For those not familiar with Meyer lemons, they are like a cross between a lemon and an orange. They’re sweet and not as tart as their more ubiquitous cousins. They’re smaller with a thinner skin that has slightly more orange tint, and they come into season during mid-winter to late spring. They’re delicious. And so are these cinnamon buns. Soft and pillowy, sweet and crunchy, comforting and refreshing at the same time. They’re also very easy to make, as I used my favorite shortcut for making morning buns: crescent roll dough (I used it in these mini sticky buns and mini Filipino ensaymada). Then I made a quick glaze and poured on top, while the buns were still warm from the oven. 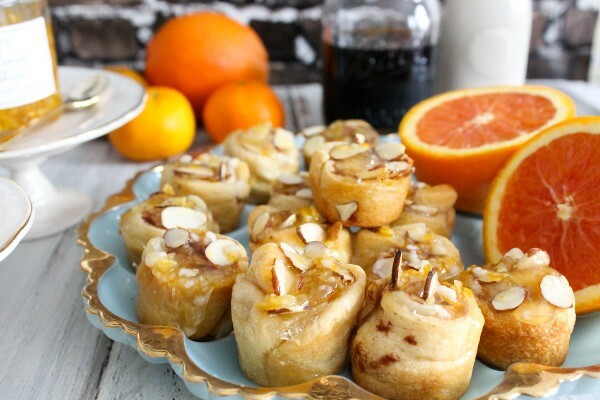 I love the fragrant almond paste inside these mini rolls, the sticky orange marmalade glaze, and their teeny size. 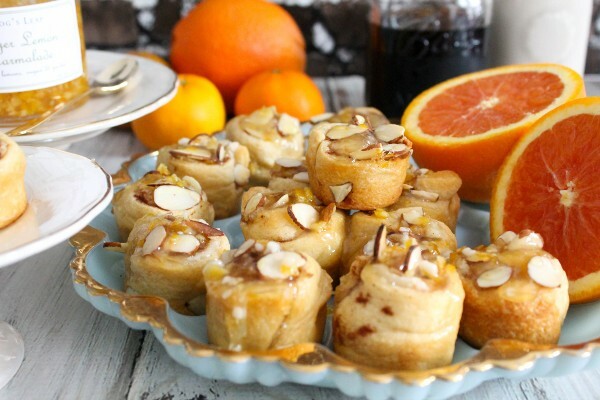 These are adorable bite-sized treats, perfect for a weekend brunch, a nice weekday treat, or a way to celebrate your mom on this special day. Brush the rectangles with half of the melted butter. Sprinkle with little pieces/chunks of almond paste, cinnamon, and all but 2 tablespoons of the sliced almonds. Roll each rectangle into a log, and cut each into 8 pieces, so you'll end up with 16 pieces total. Using a pastry brush, grease mini muffin tins with the remaining melted butter. 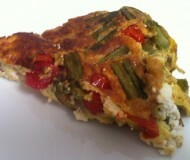 Insert buns and sprinkle the remaining almonds on top. Bake for 12 minutes. Let cool for 10 minutes, then invert the buns onto a serving platter. You can also put them in mini cupcake liners. While buns are baking or cooling, make the glaze. Combine marmalade, butter, sugar, and salt in a small microwave-safe bowl. Heat for 1 minute, and whisk together until smooth. Spoon on top of each mini bun. Buns are best served warm or within 4 hours of baking. 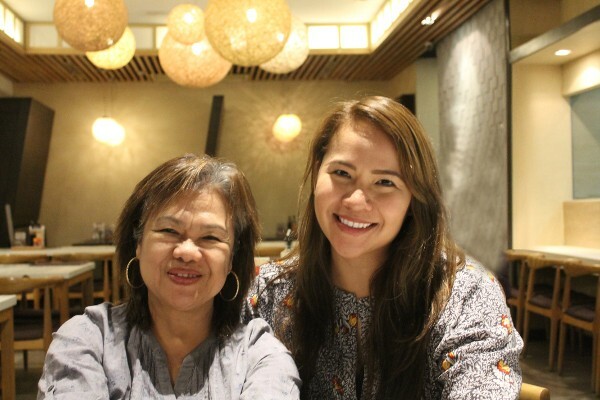 I am not shy about talking about my adoration for my mom, and I always credit her for igniting my passion for food and sparking my creativity. I also have to thank her for passing on her fashion genes. (I want that exact outfit she wore in the above picture from the eighties.) My mom is the most stylish person I know, and she has taught me to appreciate beauty in everything. Beauty in textiles, in architecture, in nature. Beauty in learning and in travel. Beauty in knowing that time and distance do not matter when it comes to love and family. Beauty in the small things. She has quite the collection of antique plates and dishware, and she always generously buys me pretty things, like this robin’s egg blue serving plate (originally for serving deviled eggs) and every single plate and tea cup in this last blog post and many other posts (she’s practically the props sponsor of this blog). Even if I’m just eating a small snack, like grapes and cheese, my mom would hand me a small but elegant plate and it instantly elevates my meal. No snacking on paper towels for me. A little pretty plate can instantly boost my mood. See, beauty in the small things. I may be thousands of miles away from my mom this weekend, but I keep her close to my heart everyday. I hope you’re all having a lovely weekend with your moms and loved ones. 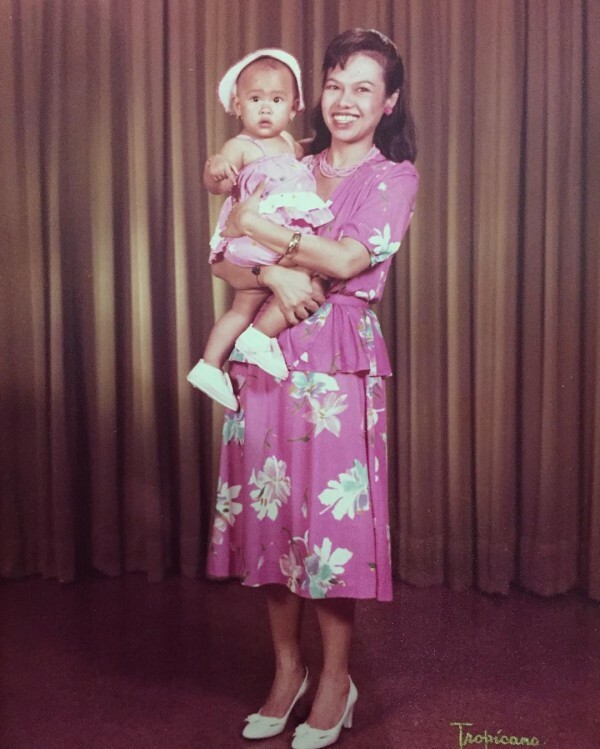 If you’d like to read my Mother’s Day posts from previous years, they’re all here: 2011, 2012, 2013, 2014, 2015. Such a sweet post! Your mom and you seem so close! My mom is also far from me at the moment, but I am visiting soon. Maybe I should make her some of these cinnamon buns! Thanks Cathleen! Hope you get to see you mom soon too. Have a great weekend! Almond and cinnamon is such a bomb combo – I can only IMAGINE how delicious these little babies are! Thanks girl! Yes there are crave-worthy! Have a great weekend. Thanks lady! Have a great weekend! these little pastries are great–crescent rolls are so versatile and make things like this so much easier! Thanks Grace! Yes they’re so convenient for easy treats. Have a great weekend! This is right up my alley with the almond paste! 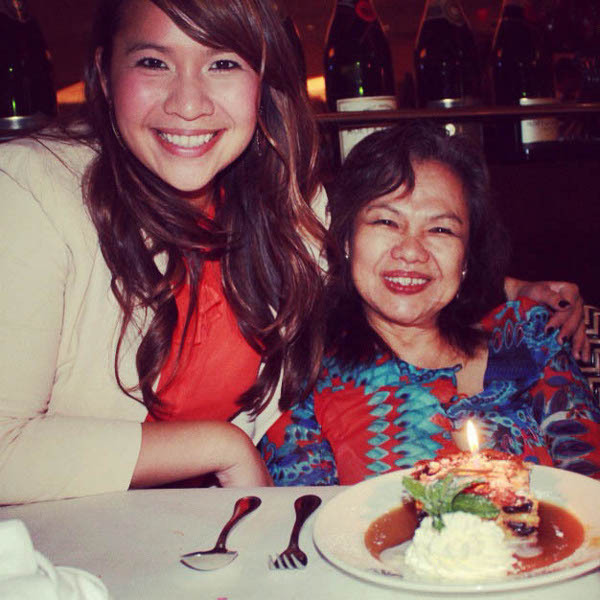 And so sweet about your mom – what a generous lady she is. 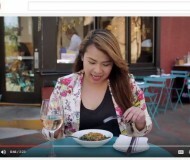 I just love her appreciation for pretty things like nice plates. It’s really the little things in life that come together to make a big picture. Thanks so much, Monica! Have a great weekend! 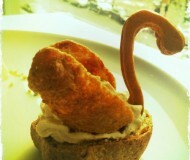 Can’t concentrate at work because I am craving this! Ang dami pa at home! 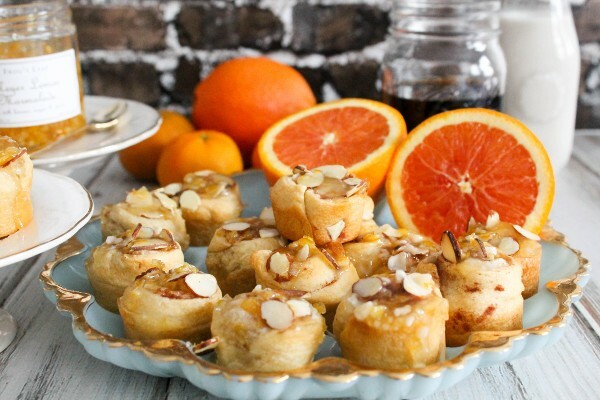 These mini-buns look wonderful — especially with almond paste – yum! !